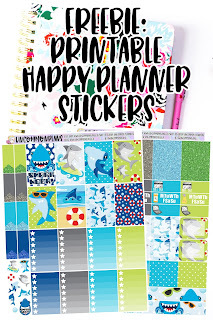 Uncommon Plans: FREEBIE: Shark Week Printable Planner Stickers for your Happy Planner! 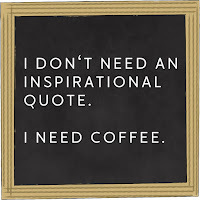 Canadian Planner Addict & Shift Worker. 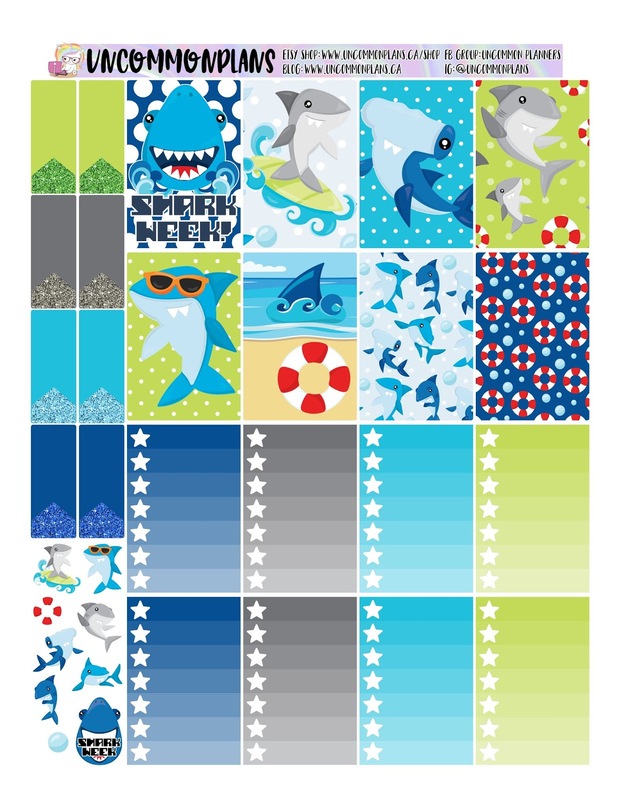 FREEBIE: Shark Week Printable Planner Stickers for your Happy Planner! 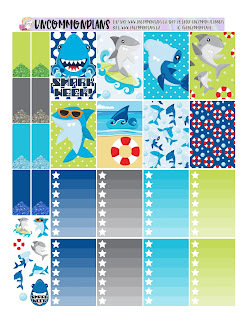 Here's the latest Free printable planner stickers from UncommonPlans blog: Shark Week! :) Who else is excited for this annual tradition? 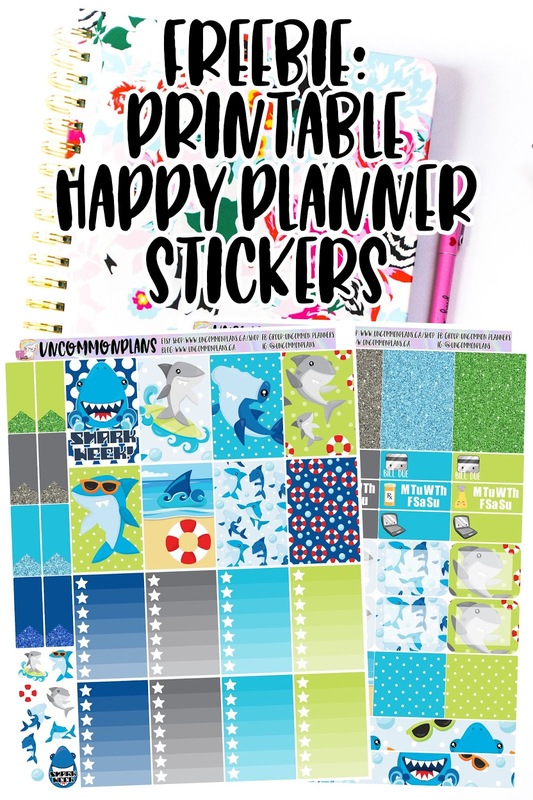 These are great printable stickers that will fit your Classic Happy Planner and help you celebrate the upcoming Shark Week in style! I love creating these awesome Free printable planner stickers for you and I want to continue to do so but I need your support. 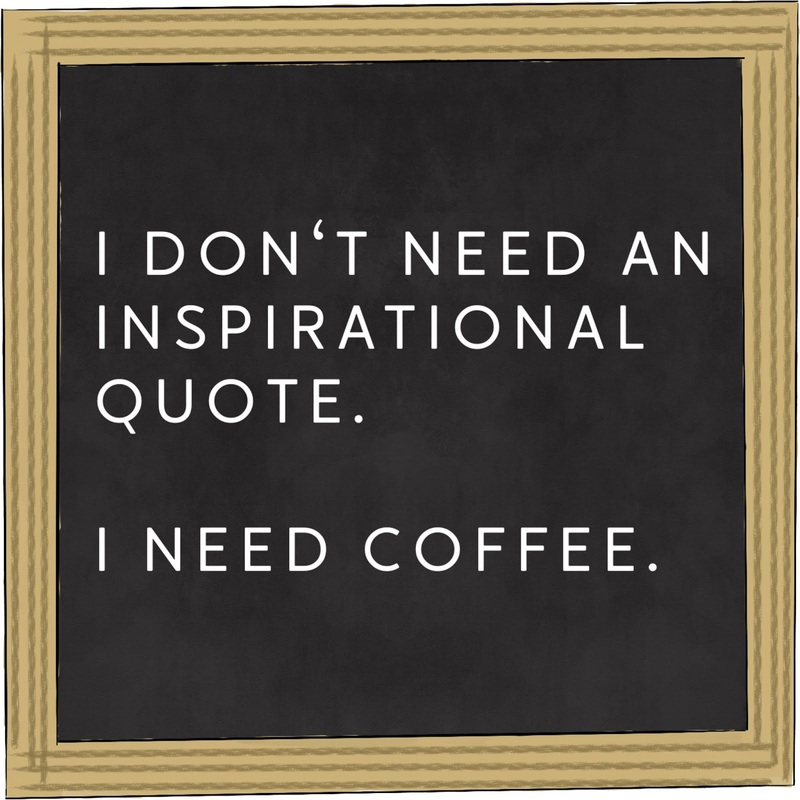 You can buy something from my Etsy Shop or you can simply Buy Me a Coffee! 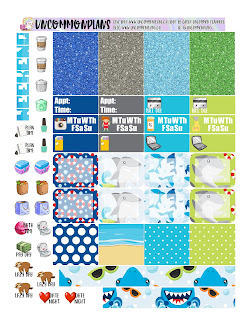 What a great way to show some support and help me continue to create Freebies for you all. Here are some easy instructors on how to use these printables whether you have a cutting machine or not. Click on the links found below the instructions to instantly download your Freebie in whatever format you'd like. Downloads are available from Google Drive as a JPEG, PDF or Silhouette Cut File format. Please DO NOT share the the google drive link or the Files: PLEASE DO share the link to this Blog post if you want to share with your friends and family. Please DO share this page via a Pin onto Pinterest: Thanks! BTW: These were created on the latest version of Silhouette: please make sure your software is up to date with Silhouette Studio V4 or later for everything to work properly. Subscribe to the Newsletter and join the Facebook Group: Uncommon Planners to be the first to know about new Weekly Freebies on the blog here. Download and Print: print it out on the highest quality print setting. Print it out on thick paper or sticker paper and then cut it out. Use scissor, your Gyro cut or a cutting machine such as the Cricut or the Silhouette Cameo. If you have a silhouette then I've included the silhouette cut files: open it in the software, print the stickers with the registration lines onto sticker paper. Put the printed stickers onto the cut mat and upload to your cutting machine. If you're using sticker paper then set the cut settings to sticker paper, adjust as required (every machine is different and you may have to play with this setting and use the test cut function first, also based on what kind of sticker paper you use). I recommend using the Silhouette Brand Sticker Paper. Once you've figured out your cut settings click send to silhouette. Watch it go as the machine does all the work for you. Fun! Stick the stickers in your planner or any where you'd like and have fun! Don't forget to share with me on social media: @uncommonplans on Instagram. These downloads are for personal use only. Do not sell or disrupt. I do not own the original artwork, this is my creation as fan art. If you love these and you'd like to share on social media or with your friends please share the link and not the file itself. FREEBIE: The Incredibles Printable Planner Stickers for the Classic Happy Planner! Free Planner Printable: January Wacky & Fun Holidays! Freebie Printable Planner Stickers: February Wacky Holidays! Freebie Thanksgiving Happy Planner Printable!